Since my last post I have been doing exactly what I said, pondering on how my wedding and honeymoon would be, among other day to day things of course. Anyway last weekend I went with my friend to look at flower arrangements for her special day, as the Maid of Honour I get to join in with all the fun and help plan all things wedding. Lucky me! Well I have never been anywhere like it, rows upon rows of ribbons, decorations, plant pots and obviously flowers. In every colour, shape, size and smell imaginable! I felt like a child in a sweet shop, unlike my friend who didn’t have a clue on where to start. So we started where we thought was best…the colour scheme. She has gone for a simple yet I think stylish combination of white and purple, it suits the summer theme and purple is her favourite colour so it’s perfect. After what felt like hours of discussion and experimenting with different flowers and designs, she finally settled on her bouquet and the bridesmaids too. 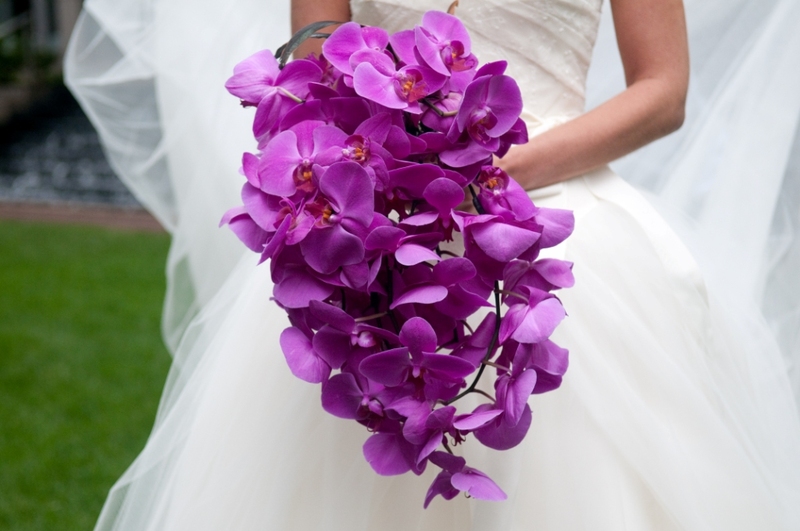 Opting for an extravagant purple orchid bouquet that according to the florist was ‘very in’; we thought it was a good idea to have the bride and bridesmaids swap colours when it came to the bouquets. 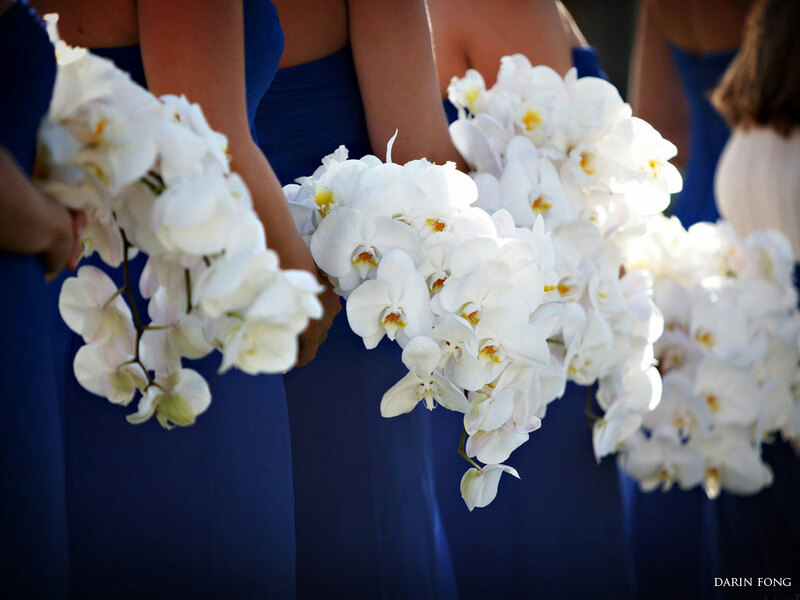 The bridesmaids flowers weren’t as jaw-dropping, but still amazing, sticking with orchids again but white this time and slightly smaller in size. We wouldn’t want to upstage the bride now would we! That’s not where the fun ends though; we had to then choose the flower girl posy, the buttonholes for the gents, the table pieces, the cake flowers, the church flowers. Seriously the list goes on and on, you don’t realise how much work actually goes into weddings. There’s an art to getting it all right, knowing what flowers work best for what month, predicting future trends and making sure it’s all going to fit together on the big day. So mind boggling but an exciting day overall, and I love getting stuck in and helping with everything, if it’s going to be as fun as last weekend was then I’m even more excited…if that’s possible. Can’t wait until the next wedding outing and to fill you in!